Food & beverages business in India: Find food & beverages dealers, distributors, wholesalers, manufacturers & suppliers in India. Select the category that interests you to jump to that needs on this page. Find alcohol beverages in India, baby food in India, concessions in India, food additives in India, food processing in India, food safety in India, labeling & packaging in India, restaurants in India, retail & distribution in India. 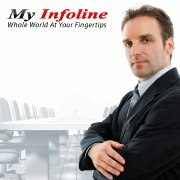 The objective of myinfoline is to provide proper information of food & beverages business. Find phone numbers of food & beverages business in India, addresses of food & beverages business in India, map of food & beverages business in India, email id of food & beverages business in India, my offers of food & beverages business in India, see ratings & reviews of office food & beverages business in India. For best search of food & beverages business in India. Find best food & beverages business in India. Submit your details and get best price quotes and deals from food & beverages business in India instantly!